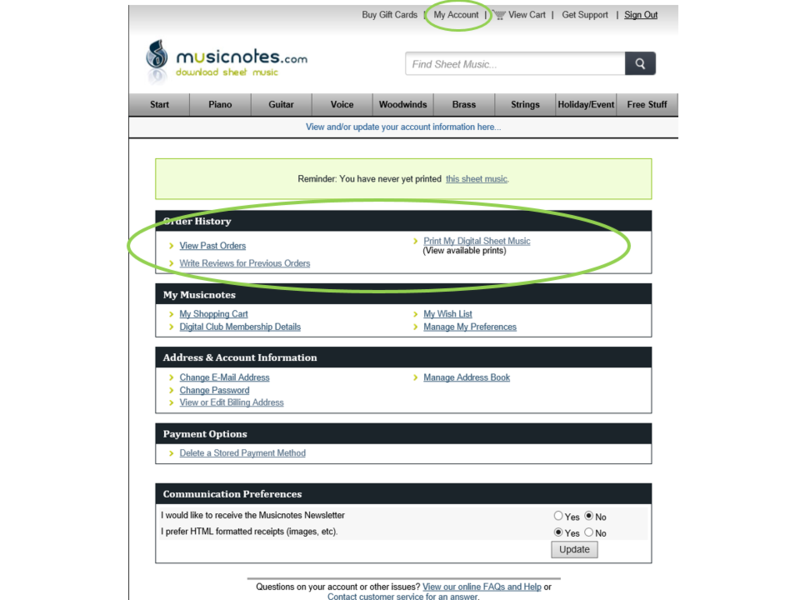 Your Musicnotes order number will be contained in the Order Confirmation Email that is sent to you shortly after placing your order. Or, you may click My Account at the top of any page, and enter your account information if you aren't already signed in. Under the ‘Order History’ heading, click View Past Orders and click on the appropriate order date to access the Receipt. Your order number will be a 6 character code in bold, at the top of the page. You can also access your receipts (which list order number) by clicking here. Again, just click on the date of your order from this list and you'll see full order details - including your order number.